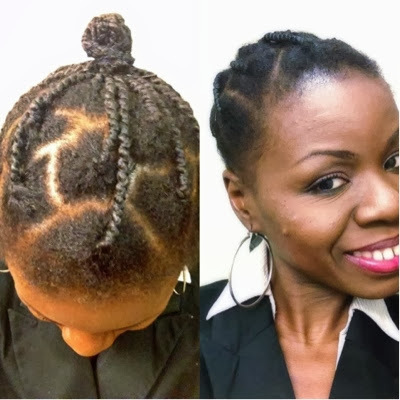 In the last 6 months of 2012, I wore protective styles consistently, which helped me retain some length and reaching this milestone in January of 2013. 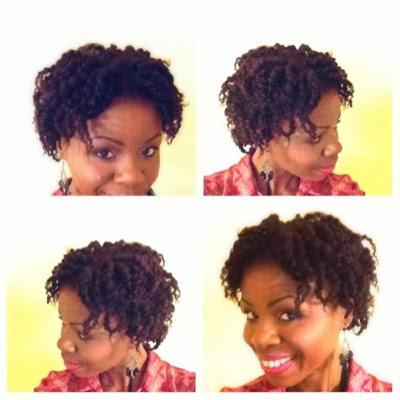 I got tired of the protective styling , so I played in my hair a bit in January, February and March. 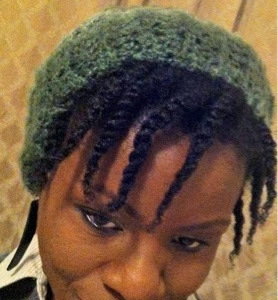 I never liked my twist out so I ended up wearing twists covered with a beanie for the entire three months.The stuffed Cinnabon was worn once for a special occasion. 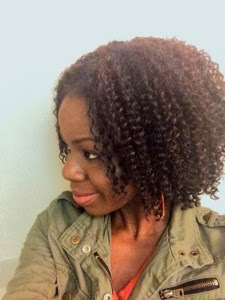 In April,I embraced my hair once again and did not care that my twists were looking frizzy after a few days. 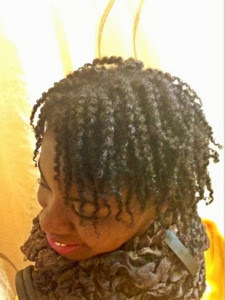 So I rocked two strand twists and twist updo quite a lot and ocassionally wore a twist out. 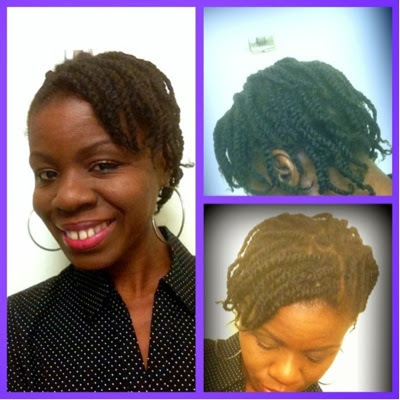 I got more creative and added flat twists by the end of April. 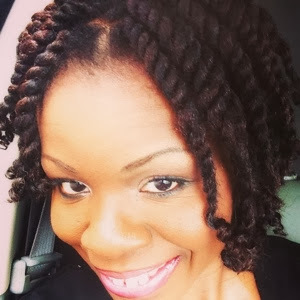 At this time, I had learned that roller setting my twists gave the illusion of full hair. 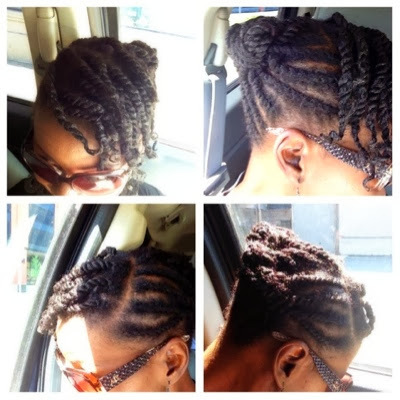 In May, I got even more creative and used African Threading to create some styles. 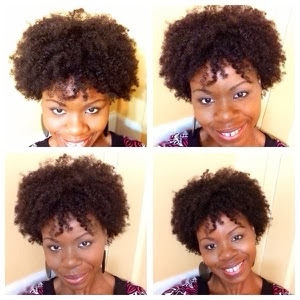 I was called "color purple" on Facebook for choosing to wear my natural hair the way I wanted it. 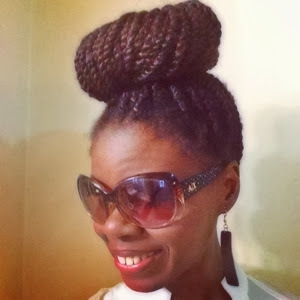 I don't understand why it is okay for some to wear their twists in a bun but it was not okay for me to wear twist-looking threaded plaits in a bun. 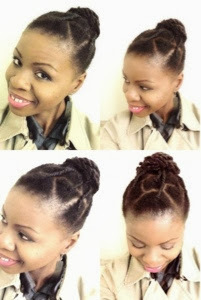 I really did not care for their foolishness, so I rocked these hairstyles for as long as they looked descent. 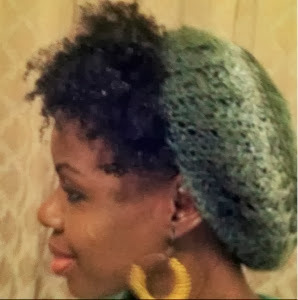 Then I explored further because I wanted to have faith in my hair that it could hold styles. Believe me when I say I enjoyed these styles. 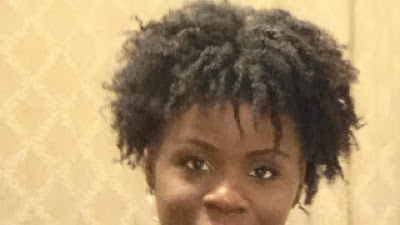 I really learned to love my fragile fine hair. 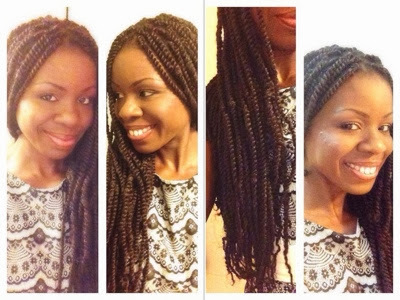 Then in June, I felt like my hair needed a break, so I started the protective style journey again. 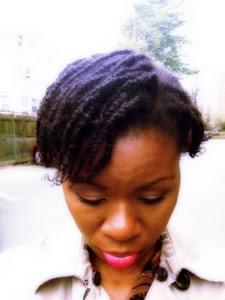 And every month, I wore a different protective style that lasted for a month. Once I gained confidence about using extensions oneself, the sky became my limit. Marley hair became a must-have iny product/ tool stash. 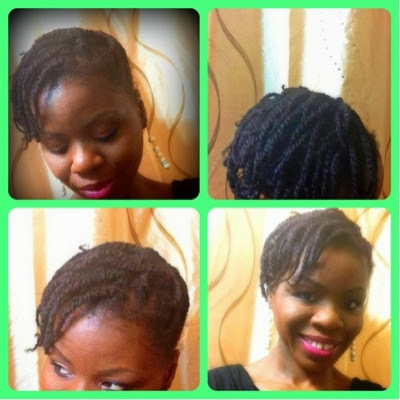 So in July, I got creative more with Marley hair by adding little pieces of hair to makey flat twist updo look full. 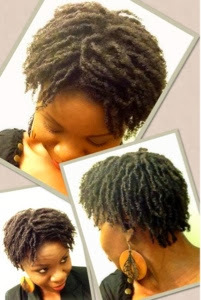 In August and September, I wore short Marley twists and jumbo Marley Hair Flat twists. 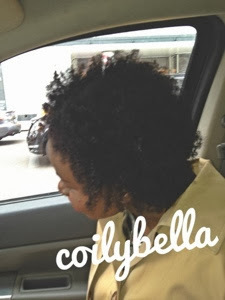 Then I took a bold step and installed crochet braids which I wore for six weeks. 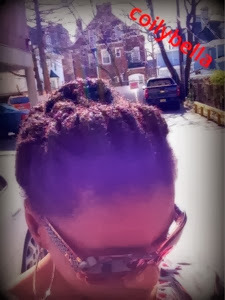 I kind of got tired of protective styles by the end of October they I decided to play in my hair again. But before then, I gave myself a good trim. 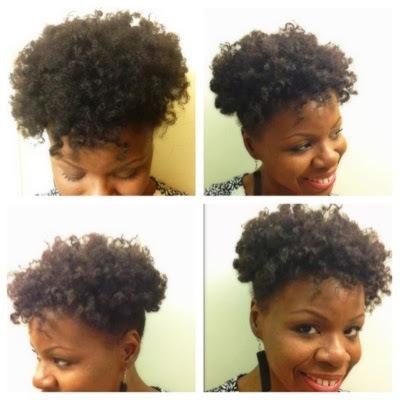 I believe this made my twist out and Afto look healthier and fuller. Once I got my fix, which was pretty quick. 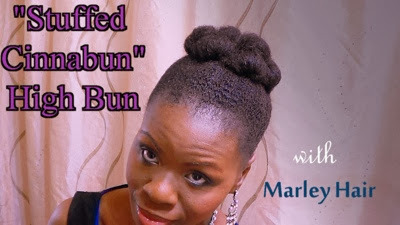 I hid my hair in another marley protective style. I faithfully wore these for four weeks even though I was bored with them. 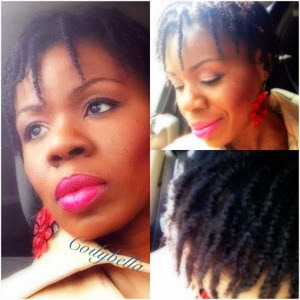 Once they were out and I gave my hair the pampering it deserved, I put my hair in long Havana twists. I am still wearing them. This concludes my style files for 2013. 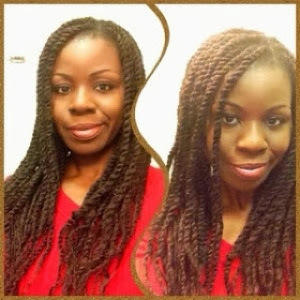 I think I like the African threading best. The other styles are also very creative and gorgeous. Happy 2014! Happy New Year to you and your family. 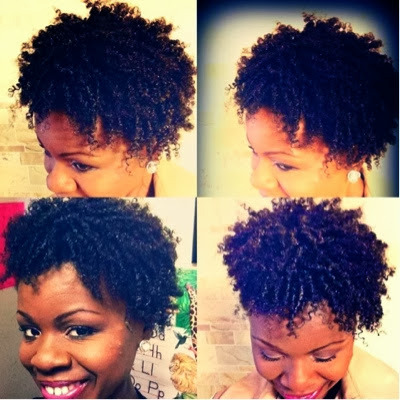 And here's to healthy natural hair in 2014! Awww... Thanks so much. Happy New Year to you and your loved ones. HAPPY NEW YEAR AND I LOVED ALL THE HAIRSTYLES ON YOU. Great post and Happy New Year!! Thanks! Happy New Year to you as well. 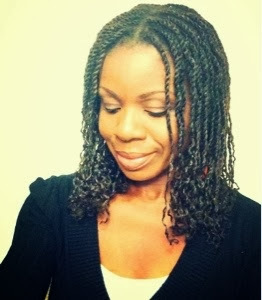 my ABSOLUTE favorite was the short marley twists. Eugh! Why couldn't I think of that when my hair was shorter? 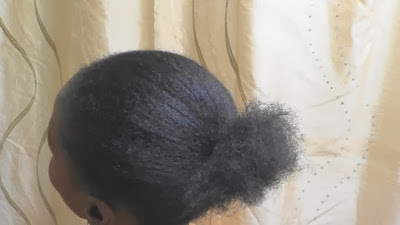 I'll try to recreate them with my longer strands, but do you have any tips for brittle hair, and how I can get them to regain its health so that I can afford to wear them with extensions? 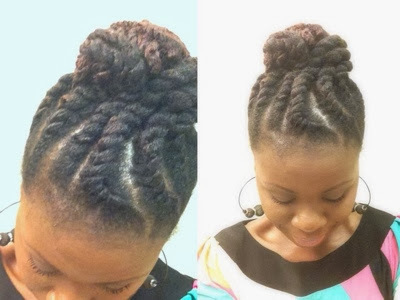 Your hair's protein and moisture bAlance may be off. 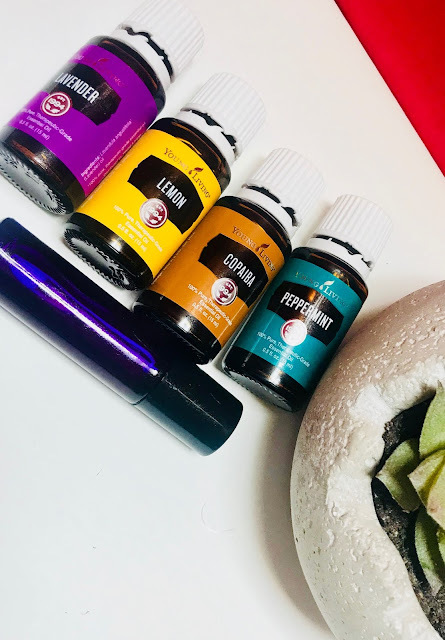 I would start by using a moisture-rich conditioner like As I Am Hydration Elation, once a week for two to threes straight. Them I would alternate between moisture-rich conditioner and protein-rich conditioner every other week. 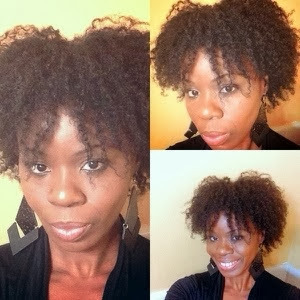 Nubian Heritage deep treatment masque,Shea Moisture for fine hair deep treatment masque and Aubrey Organics Glycol-Protein conditioner are few of the protein-rich conditioners that I have tried. I would start by using a moisture-rich conditioner like As I Am Hydration Elation, once a week for two to three weeks consecutively.